On 27 December 1909 President William Howard Taft answered a question: “What is Whiskey?” On the surface this seems a very simple question but in fact it was a question that took almost three years to answer. It turned out to be very complicated question with a very complicated answer from Taft. His answer to the question published by The National Bulletin in a nine-page pamphlet and sent to the National Wholesale Liquor Dealers Association. The question of “What is Whiskey?” came about because of the Pure Food and Drug Act that went into effect on June 30, 1906. In order to define what would be “Pure” whiskey, the government had first to decide what was whiskey itself. Was whiskey a distilled spirit from grain that was aged in oak barrels with only pure water used to adjust the proof, or was it also the spirit that was modified with neutral spirits, flavoring and coloring agents? The Chief Chemist for the Department of Agriculture under Theodore Roosevelt, Harvey Whiley, decided that it was only the former. This upset the portion of the whiskey industry who were rectifiers – people who bought bulk whiskey and blended it with neutral spirits and other components to make a flavor profile that they could sell to consumers. This also upset the foreign whiskey importers because this decision meant that their Scotch, Irish and Canadian products could not be called whiskey but instead were to be called “imitation whiskey”. The complaints were filed in court and the legal process began. Straight whiskey distillers began to label their products as “Pure Food” whiskey, meaning that they met the standards of the law as set by the Roosevelt administration, and they used the local media and trade magazines to voice their case as to why this law should stand as it was. Rectifiers were still able to call their products “Whiskey” while the case was in the judicial system but they were also waging their case in the media. The case dragged on and Roosevelt was replaced as President by Taft in 1909. William Howard Taft was a lawyer who came from a family of lawyers and judges. His father was a federal judge. 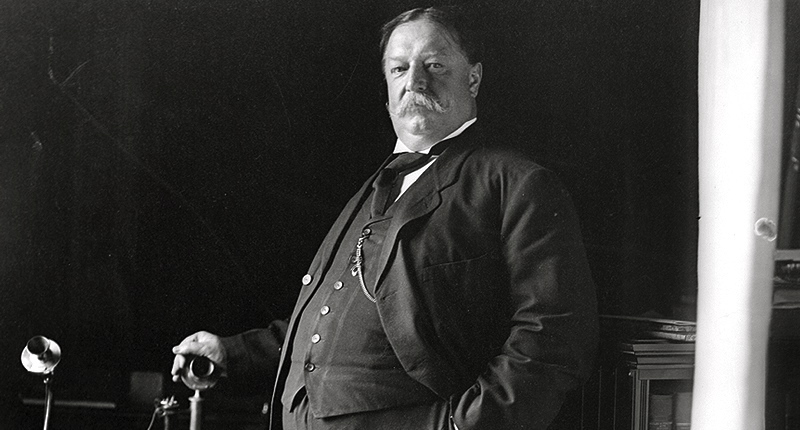 William Howard Taft also preferred the court system to the executive branch of the government. In fact he finally achieved his dream when he became Chief Justice of the Supreme Court in 1920, eight years after losing the Presidency to Woodrow Wilson. President Taft decided to solve the question of “What is Whiskey” by making himself the judge for the question and directing his cabinet to modify the enforcement of the Pure Food and Drug Act accordingly.